People will often tell you that when you visit Africa, be prepared for it to steal your heart. I’ve found this to be true, time and again. 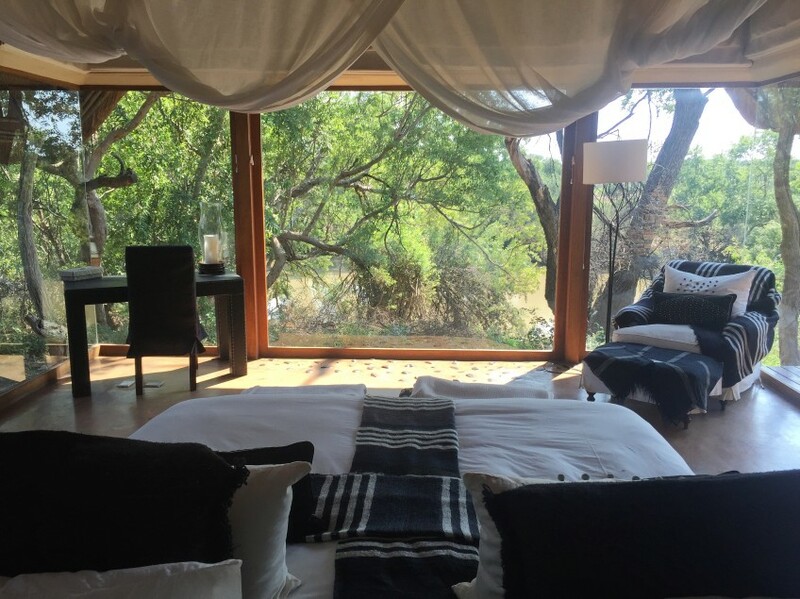 On a recent visit to South Africa, I experienced a small safari lodge, Sanctuary Makanyane Luxury Safari Lodge set within the Madikwe Game Reserve overlooking the Marico River, only a 45 minute flight from Johannesburg. 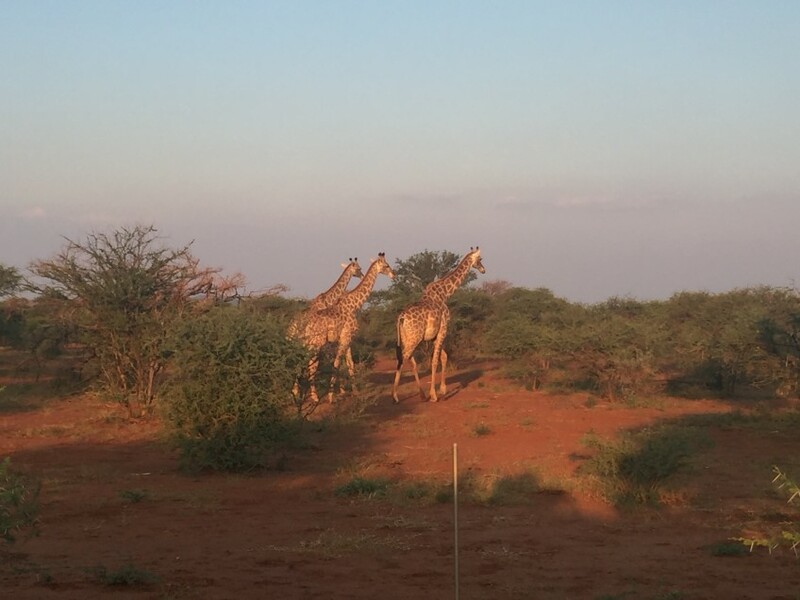 One of the wonderful things about going on a safari is that the game drive often begins before you even arrive. After landing on the tiny airstrip of Madikwe, I was greeted by one of the lodge’s expert safari guides to take me to the lodge. Within minutes we were stopping to enjoy a sighting of an elephant in musth well off in the distance. At the safari lodge, there are eight beautifully secluded air-conditioned suites catering to only to 16 guests, each with panoramic windows overlooking nature. 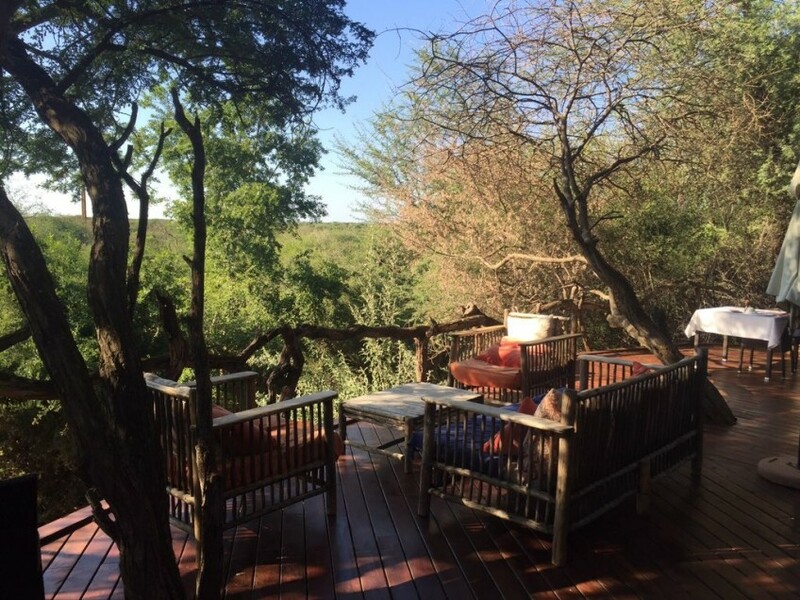 You feel mesmerized partly in disbelief that you are truly in the wild – which you are, but well-protected within the rustic setting of your suite. 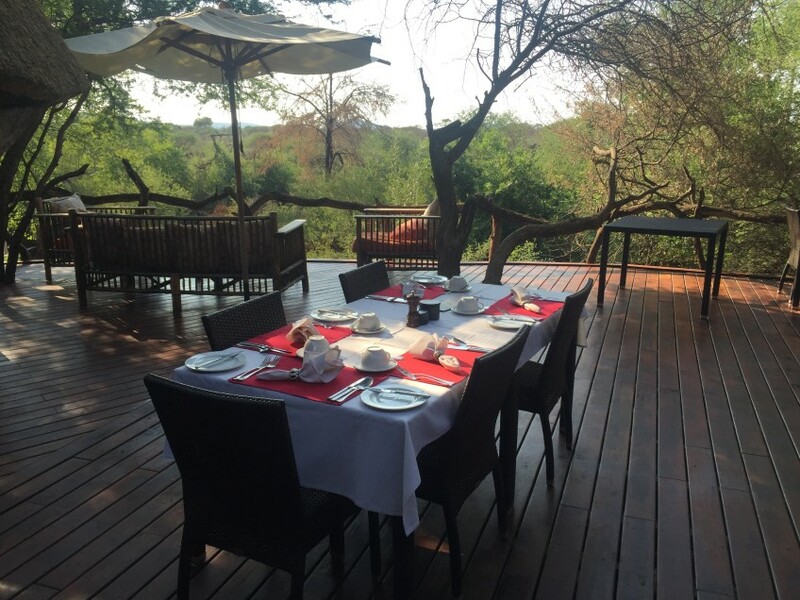 The suites have beautiful four poster beds, claw-foot tubs, lovely terraces where you can hear the hippos rustle and you anxiously watch to see if nature will pass by. While this lodge attracts couples and families, it was a wonderful experience as a single traveler. The small size of the lodge made it feel as if you were staying in someone’s home. 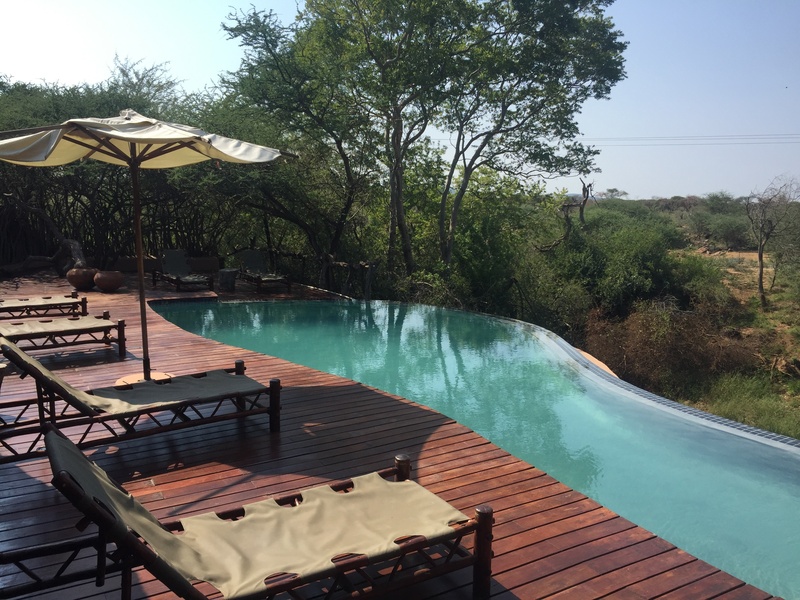 The main lodge was complete with a living area, swimming pool, tables to dine and a beautiful pool overlooking the reserve. It was the central gathering place in between game drives and for all meals at the lodge. 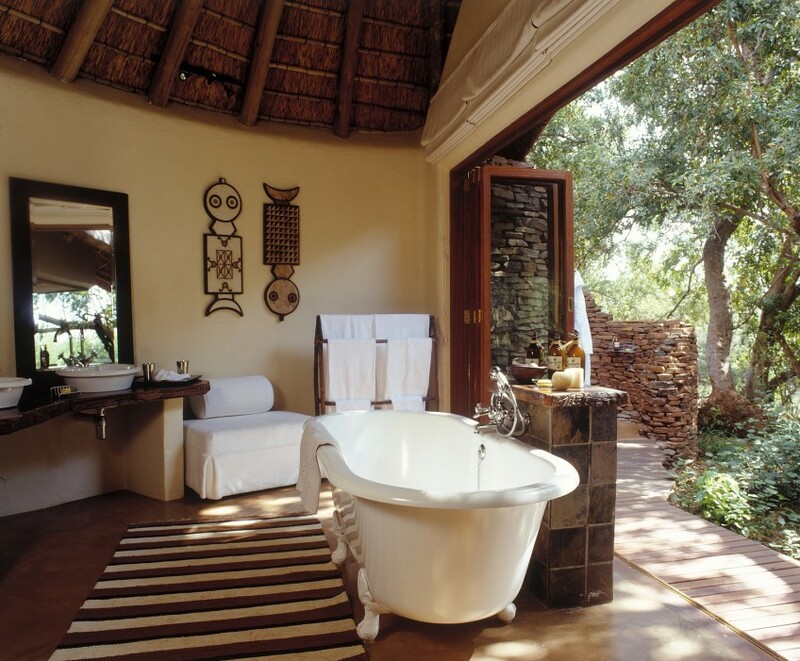 There’s a charm to staying at more intimate safari lodges such as Sanctuary Makanyane Safari Lodge. It is nearly impossible not to meet and engage with fellow visitors as you spend hours together on game drives and enjoying sundowners (cocktails at sunset while on the game drive) each evening. An incredible travel experience isn’t just about the luxurious places you stay and things you see, but about the interesting people you meet. This trip, there was a lovely group of brothers from Amsterdam enjoying a family trip together and another couple celebrating their 40th anniversary. 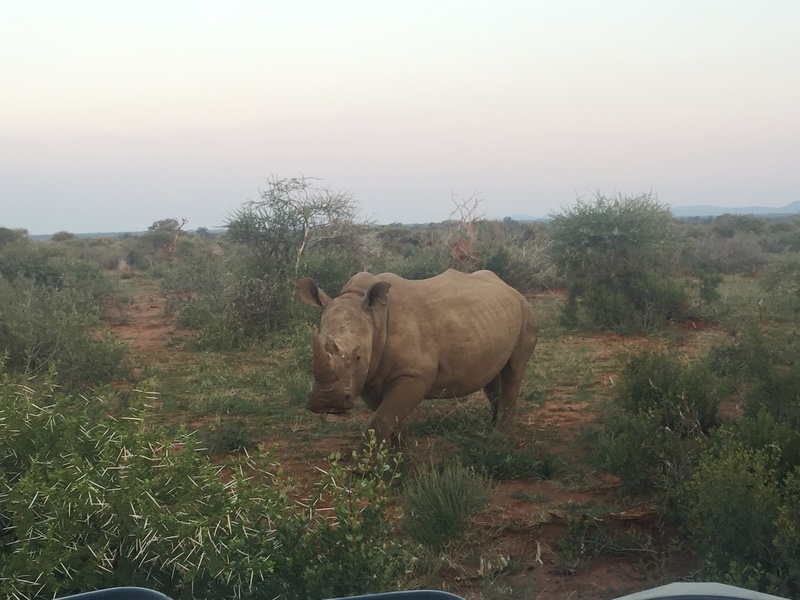 “Makanyane” actually means “wild dog” and while we didn’t see any during my stay, twice-daily game drives gave us perfect viewing of herds of elephants, Cape buffalo, a tower of giraffes and even a crash of rhino. You’ll likely see the “Big Five” while visiting this malaria-free game reserve. (The Big Five are: African lion, African elephant, Cape buffalo, African leopard, and White/Black rhinoceros) Our safari guide was also an expert in birds, and while we were waiting to see large game animals during the drives, he filled our time with his incredible bird-watching skills – evening spotting the Lilac-Breasted Roller, one of the most spectacular colorful birds in the world. 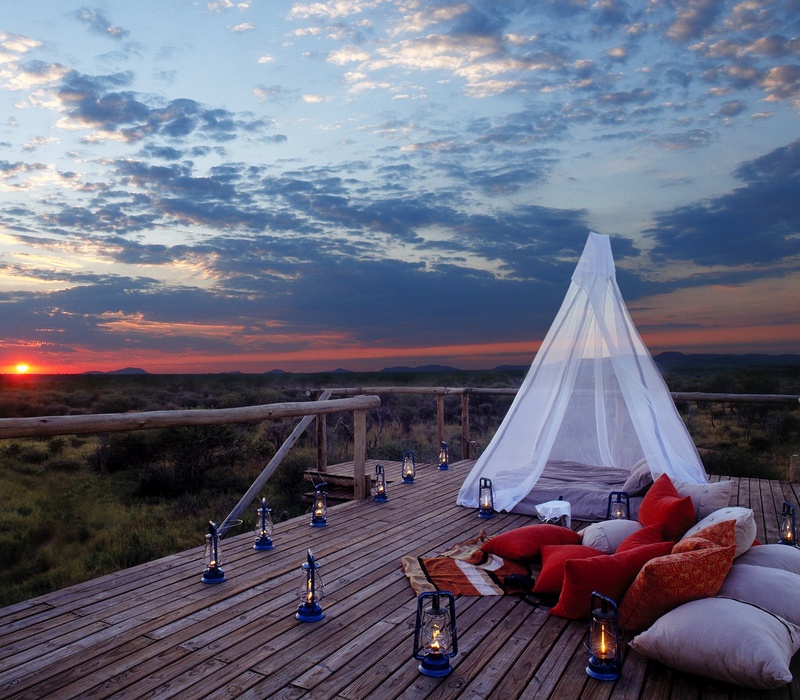 One of the unique and thrilling experiences you can enjoy at The Sanctuary Makanyane Luxury Safari Lodge is the opportunity to sleep out under the stars. Guests can enjoy their “Out of Africa” moment and feel even closer to nature while sleeping in a private tent overlooking the reserve. The dining was good, but don’t expect a gourmet experience. Menus are often family style for breakfast and taken with your guide – a great time to hear their exciting stories and recount the morning sightings. In the evenings, dinner menus feature a limited choice of entrees as you dined under the brilliant stars. As always, the lodge staff was was full of charm and welcoming smiles. Sanctuary Makanyane is a wonderful addition to a stay in Johannesburg, especially because of its close proximity by plane. Of note, it’s a malaria free game reserve and part of Sanctuary Retreats which has beautiful lodges in Botswana, Uganda and beyond. My next dream trip is gorilla trekking at the Sanctuary Gorilla Forest Camp in Uganda and a visit to the newly refurbished Sanctuary Chief’s Camp located in the Mombo Concession of the famous Moremi Game Reserve in the Okavango Delta, Botswana. You see, it’s true. Africa leaves a lasting impression on you and has you planning a return visit as soon as you can!